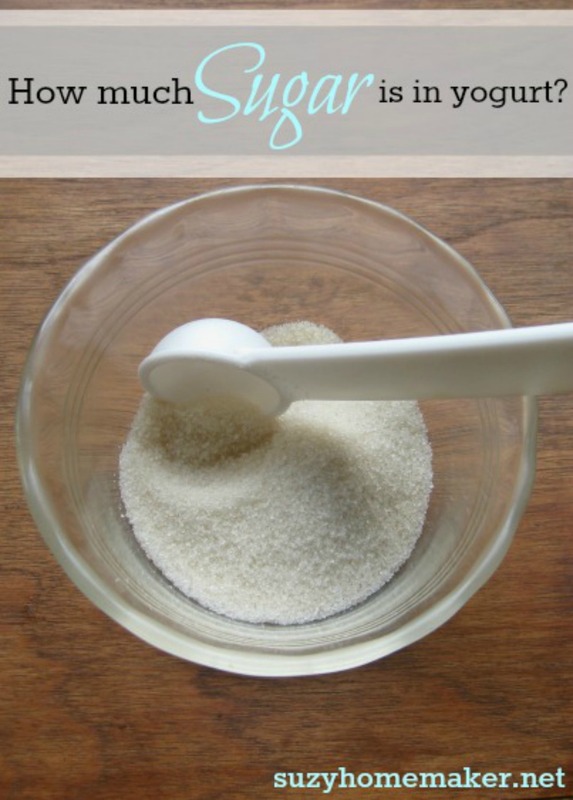 I was thinking about titling this post "why I hate the yogurt aisle" or "why you should only buy plain yogurt" but I thought I would go with the most straight forward title - sugar in yogurt. And I have a favor to ask all readers at the end of this post! So a little background story on why this came up. We were on vacation not long ago staying at hotels. One hotel provided breakfast. It was the usual - toast, bagels, cold cereal, freeze-dried-reconstituted eggs, cheap bacon, popular brand yogurts. Little one loves yogurt. And as I have written before, I usually make it in my crock pot. But for some reason I did not take my crock pot on vacation. :) So I grabbed a yogurt provided by the hotel. Unfortunately, but not surprisingly, there was no plain yogurt. So I grabbed vanilla. She didn't even eat half of it. It was way too sweet for her. Why was it too sweet? Because there was a lot of sugar in it. 26 grams to be exact...I will get back to the numbers in a sec. 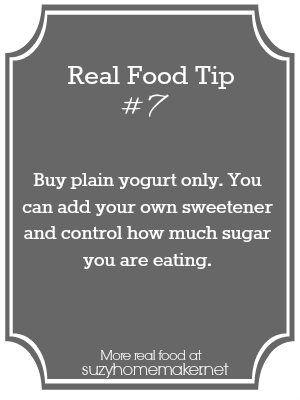 Yogurt contains both naturally occurring sugar and added sugar (unless you buy plain - and you should). Naturally occurring sugar in milk is called lactose. Depending on the yogurt brand, there is ~ 6-12 grams of lactose in a yogurt. I am not here to pick on the lactose. I AM here to pick on the added sugar. In that 6 oz cup of yogurt little one ate, there was 15 grams of added sugar. 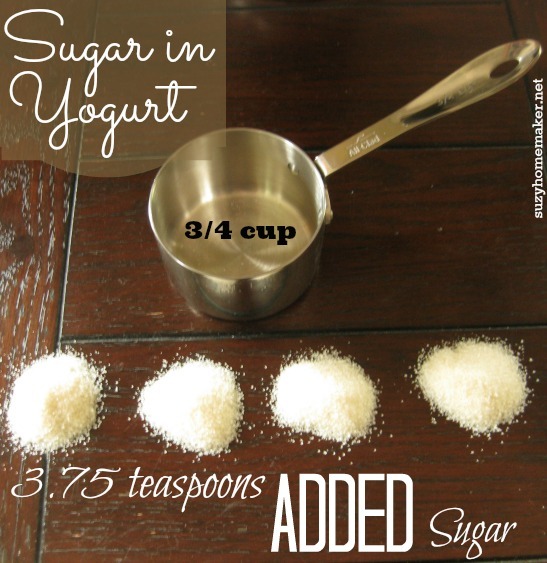 If you had plain yogurt, would you consciously add almost 4 teaspoons of sugar to it? I highly doubt it. So now I am going to be selfish. 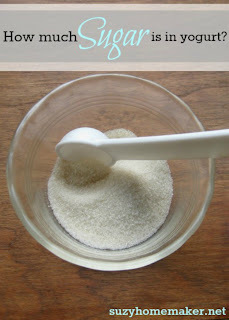 I am asking readers of this post to please start buying plain yogurt and sweeten it yourself. The reason it is selfish? Because it is getting more and more difficult to find plain yogurt in stores. Yet, if more people buy it, more stores will stock it and those of us who actually like the taste of completely plain yogurt can find it in stores. In fact, there is one company that does not even make plain yogurt, probably because it is not profitable. I am not going to tell YOu who it is, but I am not PLeAsed wITh the company.